The quintet was formed in 1985 as a part of a master degree programme at the State Academy of Music in Oslo, Norway. Since graduating in 1987, the ensemble has toured Norway, Sweden, Denmark, Finland, Austria and the United States. Concerts have also been given at the Music Academies in Vienna and Graz, Austria, besides concerts and master classes at the Sibelius Academy in Helsinki, Finland. The quintet has also given concerts and master classes at two of the most prestigious institutions in New York City, namely Juilliard School of Music and Manhattan School of Music. Being appointed by the Royal Household to accompany the King and Queen of Norway during one of their official visits to Sweden is also one of the high points in the ensembles career so far. The ensembles active repertoire is extensive and versatile, and is designed to cover most needs. 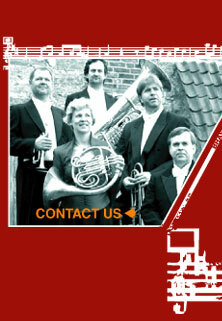 The quintet can be heard on the CD "Oslo Concert Brass".